High blood pressure or hypertension is a very serious condition that may lead to heart attack, stroke, kidney failure among other life threatening conditions. It is important to seek medical advice once you are stricken with this condition. Because of the complications that may arise from this disease any desire to self-medicate should be avoided. Before using any natural home remedies be sure that these will not interfere with any of the recommendations and medications prescribed for you by your doctor. Some of these remedies have been found to work however you will still need to maintain regular check-ups to ensure that your elevated blood pressure levels are controlled. A few of these natural remedies are highlighted below. Garlic has been found in a number of studies to have a positive effect on blood pressure. 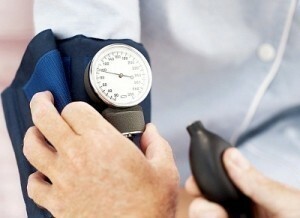 It may lower moderately high levels of blood pressure. It can be taken by directly eating the cloves or adding it to food to make consuming it much easier. It can also be taken as a supplement or powder. Regardless of how the garlic is ingested it is important to consult your doctor about taking this type of natural remedy. It has a similar blood thining effect like aspirin and therefore may reduce your body’s ability to form blood clots. Garlic may also interfere with other medications therefore you must be careful not to take this supplement without the supervision of your doctor. You may use hawthorn herb which has been found to help lower blood pressure. It does not appear to interact with other medications but it is still important to ask your doctor about the feasibility of taking this herb. 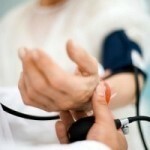 Fish oil supplements have been linked to a decrease in blood pressure levels. These can be bought over the counter however, do not take these capsules without first consulting your doctor. Reduce your salt intake by cooking with less salt and avoiding heavily salted foods. This does not require much effort and is an important part of maintaining healthier blood pressure levels. You should make modifications to your diet to include healthier foods and less fats. Try to eat a lot of green leafy vegetables, nuts and whole grains. Avoid eating large portions of red meat and dairy. Choose low fat milk and only use the egg whites when cooking. Eat fruits that will provide you with vitamins and minerals like bananas, oranges and apples. Exercise regularly. Performing at least 30 minutes of exercise per day will improve your general health and help lower your blood pressure. You should focus on doing more aerobic exercises which will include cycling, swimming, jogging and running. Practice different types of relaxation techniques that may include yoga and meditation. This will help to reduce stress which is considered a major factor in promoting high blood pressure. You may also take folic acid supplements that have been shown to have some benefits. Alternatively you can increase your intake of green leafy vegetables like spinach and also beans, peas and sunflower seeds which are all natural sources of folic acid.